The hurricane season starts up for the southeast U.S. in June. This hurricane survival guide will tell you everything you need to know to make it through the next hurricane safely. 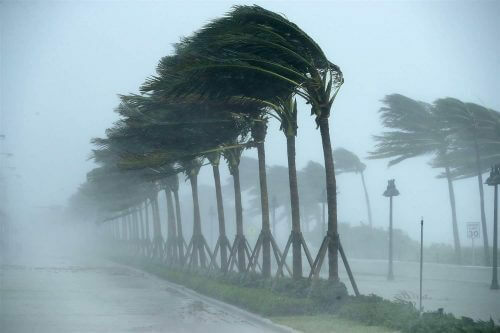 Most people believe that hurricane safety revolves around protecting yourself from high winds. 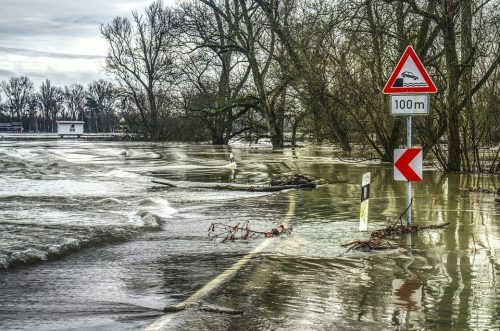 While it is important to protect against high winds, the most important thing to take into consideration when you’re dealing with hurricane safety is flooding! Prepare ahead of time. If you’re in an area that frequently is subjected to hurricanes you should already be getting ready! Put together a hurricane kit. Have plenty of food and water ready. Flooding, downed trees, and power outages could disrupt your ability to go shopping for up to several weeks. Plan to lose power. Having flashlights and area lights that run off of battery or solar power is ideal. Don’t plan on using things like candles or kerosene lamps unless you absolutely have to. You’re just adding in a possibility of causing a fire on top of the dangers already associated with the hurricane. Identify a room with no windows for the family to meet in during the storm. You should move all your essentials there prior to the hurricane so you don’t need to be wandering around the house if the power goes out. If you don’t have a room with no windows then try to stay away from the windows during the storm. If anyone in your family needs medication or has special needs, make sure you’re prepared with at least a weeks worth of medication and can deal with those needs for a week without outside help. A flood watch means that conditions are favorable for weather that can lead to flooding. Keep informed by watching local news or listening to local radio stations. A flood warning means that flooding is already occurring or imminent. Move to a safe area before you access to escape is cut off by water. Monitor local television and radio stations for safety announcements. If you’re advised to evacuate you should strongly consider it! Load up the bug out bags and hit the road. 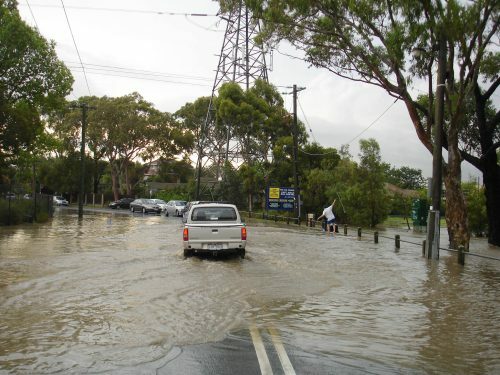 Flash floods are the number one cause of flood-related deaths. Do not walk through flowing water. Only six- inches of moving water can knock you off your feet and drag you into deeper water. If you’re forced to walk through flood waters to get to safety, make sure you use a walking stick to probe the ground in front of you. Vehicles are not necessarily safe. Right around 50% of flood-related deaths occur in vehicles. Don’t drive through flood waters unless you really have to. Driving around barriers can lead you to washed out roads and bridges. Try to avoid standing water while you move to safety. If your vehicle gets stuck or stalls, abandon it and move to higher ground. If you stay in the water as it rises, you could be swept away with it. The number two killer during floods is electrocution. Avoid downed power lines and electrical wires at all costs. If you happen to see downed power lines, you can report them to your local electrical company. Don’t use any appliances or motors that are wet. Make sure they’re completely dried out before you try to use them. This goes for electronics as well. Place sandbags in the toilets to prevent sewage backing up into your house. Elevate anything that can be damaged by water as high as possible. If you have a second story, it’s best to move your things there. Use a waterproof container or bag to store any vital documents and medical supplies. Take your animals with you. If you can’t, then you need to make sure they have food and water and are in the safest place that you can put them. Leave the doors to your refrigerators and freezers open. This will help to prevent them from floating around and causing damage to your house. Most standard insurance plans do not include flood insurance. Now is the time to get in touch with your insurance company to make sure you have flood protection. It takes about 30 days for flood insurance to kick in so make sure you have a plan to survive until that insurance comes through. 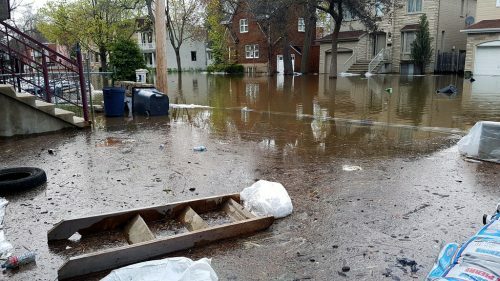 For our full write up about flood dangers and safety, read our full article How to Prepare for a Flood – Get Ready Before the Water Starts Rising. Keep trees trimmed and away from your house. High winds can cause the branches to damage your house or break windows. Loose branches can do the same thing so make sure there are no damaged or loose branches. Secure patio furniture and other items around the outside of your house. They can easily get blown around and smash windows. Consider installing hurricane shudders over your windows. They can be expensive but they do a great job at protecting your windows during high winds. Move your vehicles into the garage if you have one. Don’t leave a vehicle in the driveway if you don’t have to. Make sure that all of the doors on your property are secured. This goes for and sheds and barns as well as the garage and your home itself. A loosely closed door can easily get blown open and allow rain and debris to blow inside. Many people buy generators and then simply stick them in the garage, never to be seen again. Follow these simple steps to get it up and running in no time. 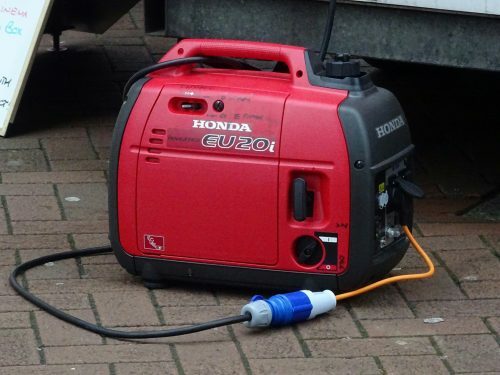 With portable generators, it is extremely important that they are operated outside. Make sure they’re far enough away from your windows and doors so the exhaust doesn’t come back into the house. There are almost always deaths related to carbon monoxide poising following storms. Install carbon monoxide detectors in your home to keep your family safe. Keeping your generator maintained is key to making sure it’s good to go when you need it most. Following this simple list will make sure it runs when you go to start it up. Start the generator monthly to keep it in working order. Clean the terminals and coat them with anti-oxide grease annually. Only use extension cords that can safely handle the load that you are putting through them. Use one single extension cord instead of plugging multiple cords together. If you need help finding a generator, stop by our article explaining how to choose the perfect generator for you. Don’t take hurricane safety for granted! Follow this survival guide to keep your family safe during the next hurricane. Make sure you check out our other preparedness articles for more tips that can keep you safe during all kinds of disasters. Survival during a hurricane is dependent upon preparing ahead of time!